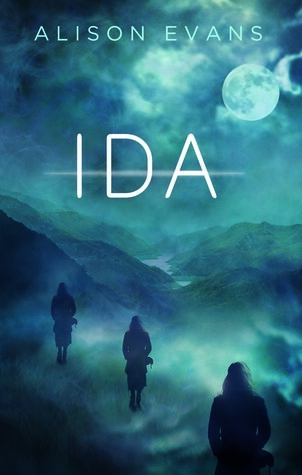 Ida is the first young adult novel to be published by Bonnier imprint, Echo Publishing. In many ways, Echo are the new kids on the block, but they are punching well above their weight and have award winners in their stable of authors already. In Ida, we meet Ida Wagner, an ordinary teenager suspended in the void between high school and university, trying to decide what direction she wants to take with her life. Except she's not all that ordinary at all. Ida possesses the ability to go back in time to any decision and change the outcome, a power she uses liberally. She avoids car crashes, she saves plates and cups that get dropped. The only trouble is that she doesn't fully understand the ability she has. But Damaris does. Damaris knows that Ida is not going back in time at all, but shifting to another alternate universe where a different decision was made. She is pulling her other selves out of their homes and they are not happy about it. Damaris, a mysterious being from another plane of existence is sent to track down Ida-- the original one-- and put a stop to the shifting before the gaps between the realities is worn away to nothing. This is a smart and fast paced novel. Its protagonist, Ida Wagner is very relatable, particularly when it comes to her sassy observations about working in a coffee shop, guaranteed to have anyone who has worked as a waiter or a barista nodding their head in sympathy. 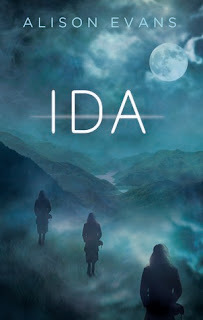 Ida's life is populated with people who don't usually appear in mainstream fiction-- people whose relationship with gender is outside of just male and female. Her partner, Daisy, is genderqueer and therefore identifies as neither male nor female. Her cousin Frank may be transgender (there is one scene in which there is a subtle clue). And Damaris, while not strictly part of Ida's world, is genderfluid. Yet the book does not go out of its way to try and educate the uninformed reader about these people and their identities. They just are. There is the occasional, subtle comment worked in about language choices (them, they are personal pronouns for Daisy, which did take the untrained brain a little getting used to) and about the way that people react to others when they cannot label them with a gender. I thought this aspect of the novel was well tackled, and I feel like a learned something. The other thing about this novel which I was struck by was the maturity of the plot. While the ability to shift between parallel universes is something that crops up in speculative fiction from time to time, this novel felt new and intelligent, and it didn't rush to tie up all the loose ends and questions at its conclusion. Life is messy and complicated, and we make mistakes-- this is the lesson Ida has to learn, that things will happen and sometimes you can't change them. The novel's conclusion respects this lesson. Ida's travel through the parallel lives mean that she has a chance to see different permutations of her own life-- one where she doesn't have Daisy, one where her mother has not died, one where her father isn't speaking to her (though I wasn't sure exactly why), and while there are aspects from a number of worlds she would like to pick and choose and have as her 'real' life, she cannot have everything. An entertaining and clever read about life, love and knowing what you want.